When restaurants look to streamline their business operations across systems, they turn to the inventory management industry for help. By tapping into the power of technology, restaurants are able to improve their back-of-house operations. But finding the right inventory management partner isn’t always an easy task. That’s where MarketMan comes in. Founded in Tel Aviv, Israel in 2013 by entrepreneur Noam Wolf, MarketMan is currently building on its rapid Middle Eastern and European success through partnerships with major restaurant groups across the U.S. market. MarketMan is not Wolf’s first venture in the technology industry; he built MarketMan after gaining more than a decade of experience pioneering mobile apps and technology development on a global scale. It was through that work that he recognized a glaring gap in the restaurant industry: while exciting technological advancements have vastly improved front-of-house operations and customer experience, back-of-house operations have largely remained stagnant and reliant on outdated phone, mailed or even faxed order forms and invoices, slowing down operations for the entire restaurant. MarketMan is a technology solution for restaurants looking to bridge that gap. Wolf designed and developed the platform to minimize time spent manually composing orders, resulting in over-ordering and wasted funds, ultimately allowing restaurants to upgrade from their current systems of sourcing inventory by word of mouth, paying with checks and ordering from up to a dozen different suppliers. This ability to connect the silos between operators and vendors through a streamlined software platform allows restaurant operators to reduce food costs and time spent on inventory management. And this is all done through an easy-to-use cloud-based system, ensuring that orders submitted through the platform are implemented quickly and efficiently. Brands across the globe are already experiencing success with the help of MarketMan. Since its creation four years ago, MarketMan has enabled its restaurant clients to realize an average of two-to-five-percent reduction in food costs within the first year. MarketMan clients are also reporting an average boost in order efficiency by up to 50 percent, on average, thanks to its integrated ordering platform, which allows day-to-day operations to migrate seamlessly between multiple vendors and suppliers with no disruption. 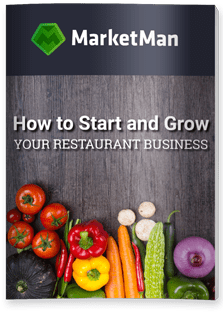 Right now, there are more than 2,500 restaurants in 18 different countries using MarketMan to streamline their business operations. The platform has also seen more than 150,000 recipes built in its platform, and over three million purchase orders have been submitted worldwide. As those numbers continue to climb, MarketMan is poised to further move the restaurant inventory management industry forward in 2018 and beyond.